This section is for those students that have died and we do not yet have a class page for them. 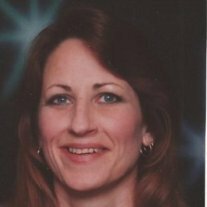 Barbara Jean Velandra, age 49, of Center Line died suddenly on Tuesday night. Dear Mother of Terry Velandra. Daughter of Frances and the late Joseph Rezak. Beloved sister of Joseph (Renee) Rezak, Mary Ann Mulherin, Robert Rezak, and Steven Rezak. Visitation is Thursday March 21,2013 from 5-8 pm with a 6:30 pm time of service at the Rudy Funeral Home 25650 Van Dyke Center Line. Barbara died suddenly after being hit by a car on Van Dyke in Center Line as reported by her brother, Robert. Archie Parmentier maybe class of '81 - if someone knows the correct year, please contact the webmaster. Patsy Gale Cypret (Leslie), was in the first graduating class from Center Line in 1955. She passed in October of 2009 from breast cancer. All three of her children graduated from Center Line, Cheryl (Leslie) Lowran 1976, Cindy Leslie 1977, and James Matthew Leslie 1989 (VALEDICTORIAN). Cheryl married John Lowran who was in the class of 1977.